I am lucky that both my boys really enjoy learning. It's not always without struggles and challenges, though. But they do attend a brilliant primary school, with teachers that still try to place as much emphasis on extra-curricular activities as they do the national curriculum, and both boys are thriving there. Their school, as well as mum and dad, of course, have encouraged and nurtured this joy of learning that they have. They can't get enough of TV shows like Horrible Histories, they love books full of facts and also have really enjoyed any online 'educational' game they have played - as well as a tonne of games that are just about fun! When we visited London last year my eldest didn't take the headphones off whilst on the sightseeing buses - he now knows so much about London - more than us. 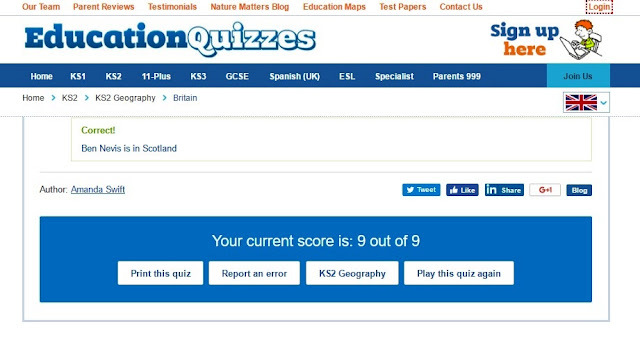 With this in mind, I was keen to show them a new educational quiz game we had been asked to review. It's right up their street. Education Quizzes is a web-based learning game designed for all children of all ages, with the primary objective to help children to be successful at school. 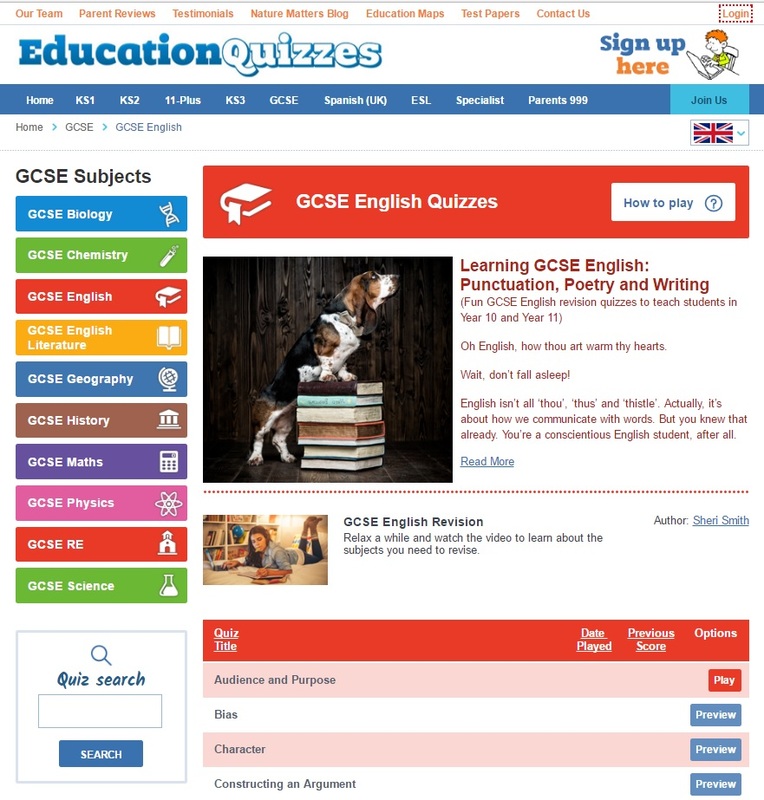 Through the quizzes, the school curriculum is made easy and they should be enjoyable whatever stage a child is at be it KS1, KS2, 11-Plus, KS3 or GCSE. I am not a teacher, but I am aware that the best teachers make subjects fun and informative, to engage children in their lessons. They spark interest and teach in bite size chunks to aid understanding and learning, and help with concentration. Most children love quizzes, my boys certainly do. They also like to be competitive, enjoy a little bit of sibling rivalry and also like getting things right, so I'm all for an additional way to learn at home that is also fun. And being able to use it on a PC or tablet is a good way to interest them too. Both of my boys are in KS2 (years 3 and 5). They both wanted to try out the quizzes and were very keen to do KS2 maths but were surprised to see such subjects as PE on the lists. But they were interested enough to work their way through them. They now know how to move large pieces of apparatus safely. It also made them aware that actually, even PE is a subject they can learn through and is not just running around playing games. 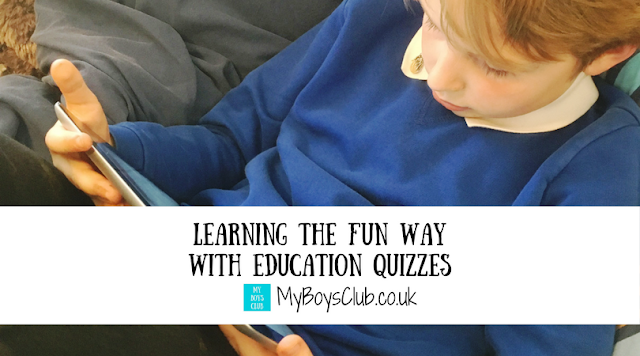 The boys thought the quizzes were fun and repeated them to improve their scores too. I asked if it was what they were learning about at school and they both replied yes, although they found some maths that they are about to start learning so it is definitely following the same topics as the curriculum which is reassuring. Me and hubby, also tried our hand at the GCSE questions - just to see what we'd need to know in the future - and were pleasantly surprised at what we could remember. But I can imagine that an educational aid like this will become even more valuable to parents as a child gets older and subjects get harder. And also really good for exam revision. I like that whether you get a question right or wrong, the answer comes with an explanation. This helps with developing an understanding of the subject, especially if you have guessed an answer. I also like that the quizzes are written by teachers who have the day to day experience of what it's like trying to make learning fun and enjoyable. If you are the type of parent, like me, who wonders how you'll be able to help your child with their school work, especially as they grow up, then it will be a useful educational resource to have at home. In fact, I think this would be a successful resource for using at home or at school. A monthly subscription for home use is £9.95 and although it can be cancelled easily, is not affordable to everyone. However, a school can subscribe on behalf of its pupils and benefit from greatly reduced costs. Depending on the number of children and young people at a school, it is possible for them to sign-up students for as little as £2.00 per year. After the boys had finished I took a longer look around the website and found a Nature Matters section which is a daily blog all about wildlife and the environment with fascinating facts. 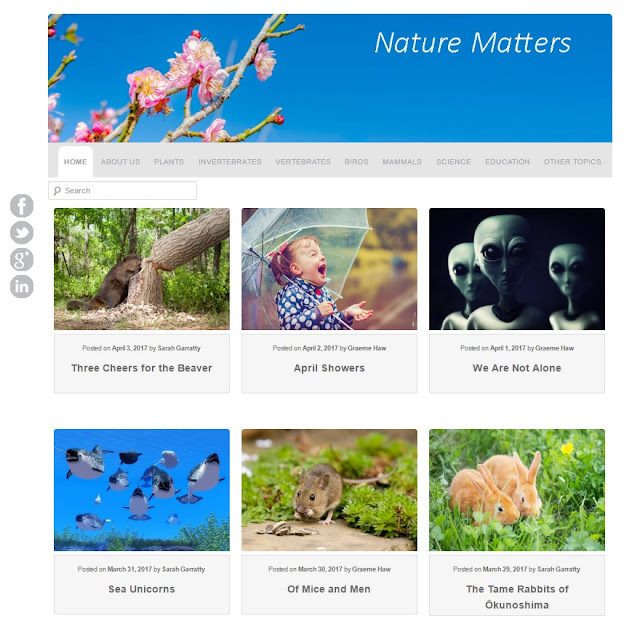 This blog is really informative and I'm going to be showing the boys it later. 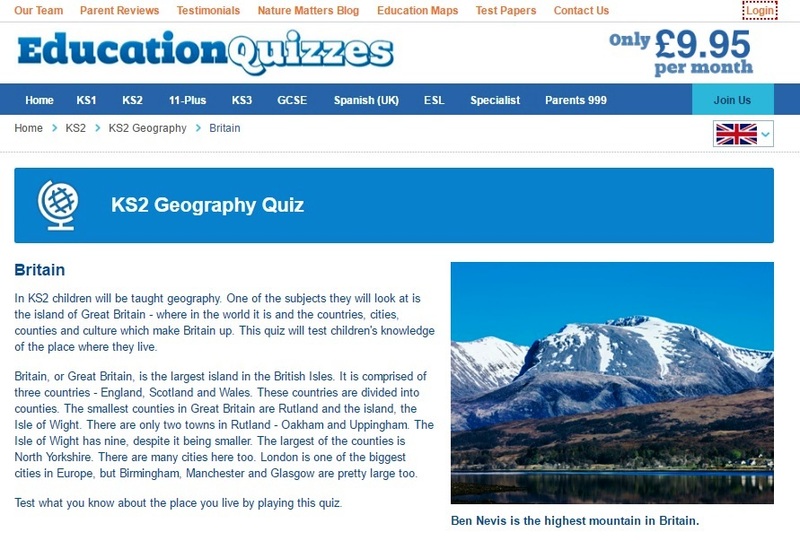 Overall, I think these educational quizzes provide a fun way of reinforcing, supporting and backing up all of the hard work being doing in schools by the teacher, and if a subscription is through a school then it also becomes more affordable too. What ways do you find are the best at helping children learn?